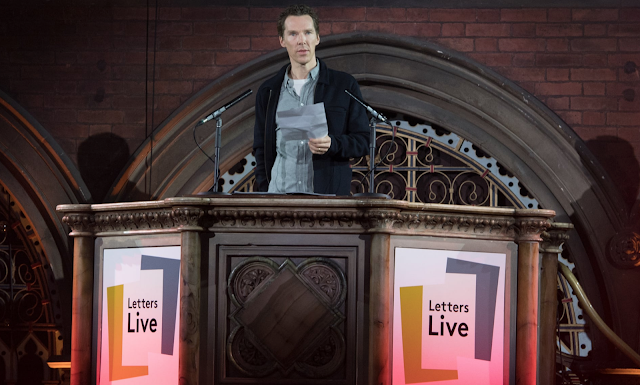 Letters Live, a celebration of literary correspondence, gives people the opportunity to spend a night out, having letters read to them by a bunch of actors and musicians. "You can't help be drawn in, even when the letter is never written for you...Every human experience can be found in letters. They can make you feel something you can't feel yourself, experiences you will never live. Some of us will never lose a child. Some of us will never kill someone. You could sit at home to read them, but, through the alchemy of performance, everyone in that audience becomes the recipient." Read more about it in this Guardian article. Then, go grab a pen and a piece of paper and dash off a little something to a friend.